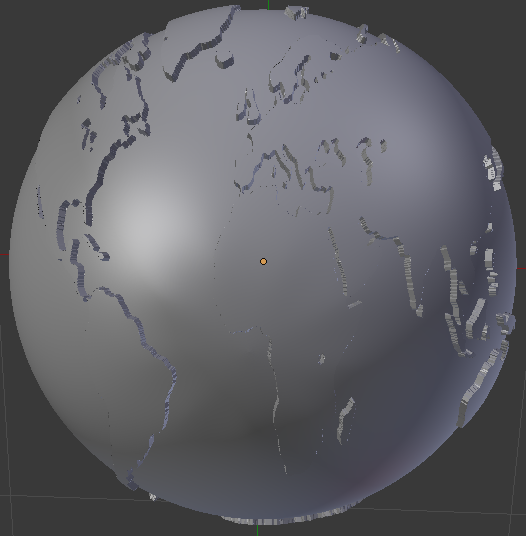 I am trying to use an image of a world map as a displacement map for a sphere. 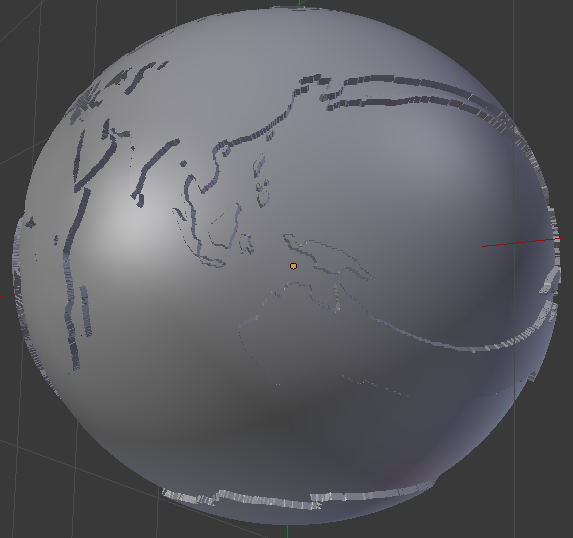 Later I want to export the mesh for 3D printing, with the continents looking like engraved into a sphere. I am new to Blender. 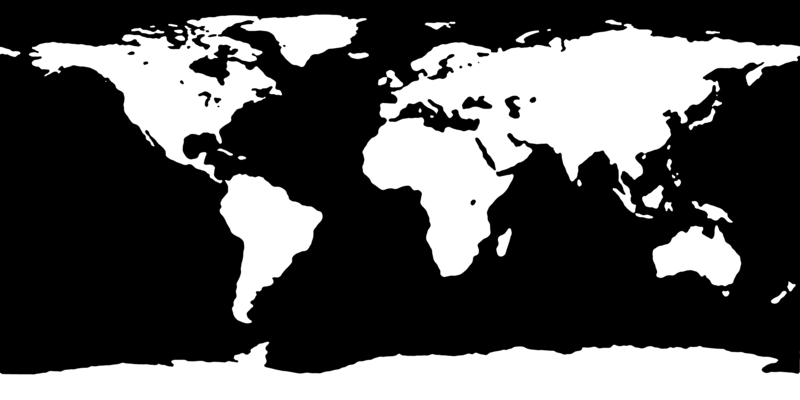 This image is basically the "Land/Ocean map" from this Blender tutorial, just with an erode/dilate filter applied. Because this guy is using it as a texture in Blender I am assuming it is a suitable projection. ... Australia's east coast is extremely stretched out. What am I doing wrong? Or is there a completely different, better way? I would use a different approach. Since the sphere doesn't have a UV map, using the Generated output of a Texture Coordinate as the Vector input of the Image Texture will position the map. The Image Texture file is your image. Because you are using the Image Texture for a bump map, the first drop down should be set to Non-Color Data. Because you are projecting to a sphere, the 3rd drop down should be set to Sphere. The Image Texture Color output is then used as the Height input to a Vector Bump node. You can control the height of your terrain by setting the Strength value of the Bump node. The Diffuse node can be replaced by a Principled node, and the other image maps fed to its inputs, as in the tutorial. There is an alternative way, using the Displacement input of the Material node, rather than the Normal input of the Diffuse BSDF, but it varies depending on the version of Blender you are using. Not the answer you're looking for? Browse other questions tagged mesh displacement or ask your own question.